The frames are beeing made of beech wood and have a stable spring upholstery. The rosettes are carved in detail by hand. The shipping costs must be calculated individually for these items. 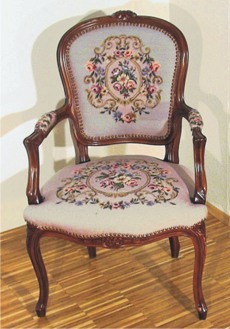 We are happy to install your embroidery on our furniture.